That would have been a funny phone call to the Super ("I'm stuck on the roof, can you let me in?") and my manager at work ("Uh.... I might be a little late to work because I'm stuck on my roof..."). Anyway, the reason behind the title of this post. I picked up this statement collar necklace at Anthropologie recently and I'm in love with it. I love how it can transform this simple jeans and knit top outfit. Love the necklace and top! Super cute! 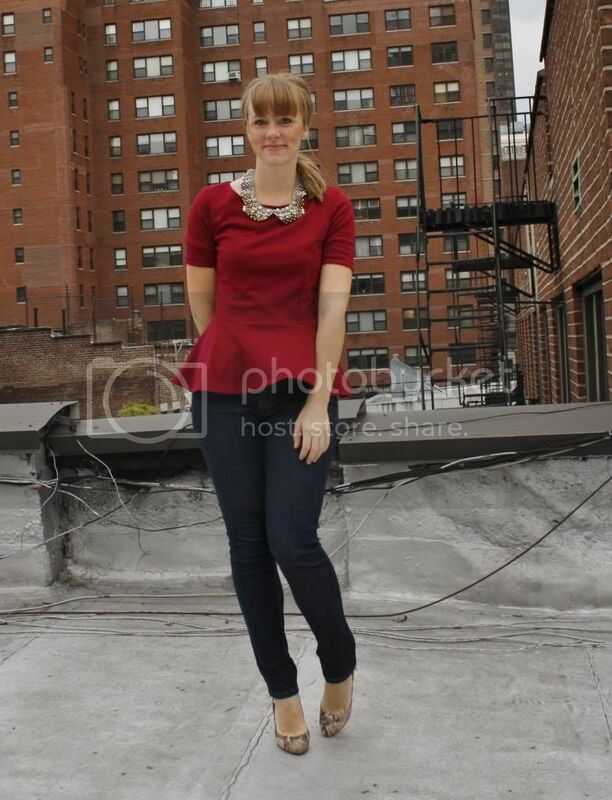 I love your peplum top and necklace - very cute! 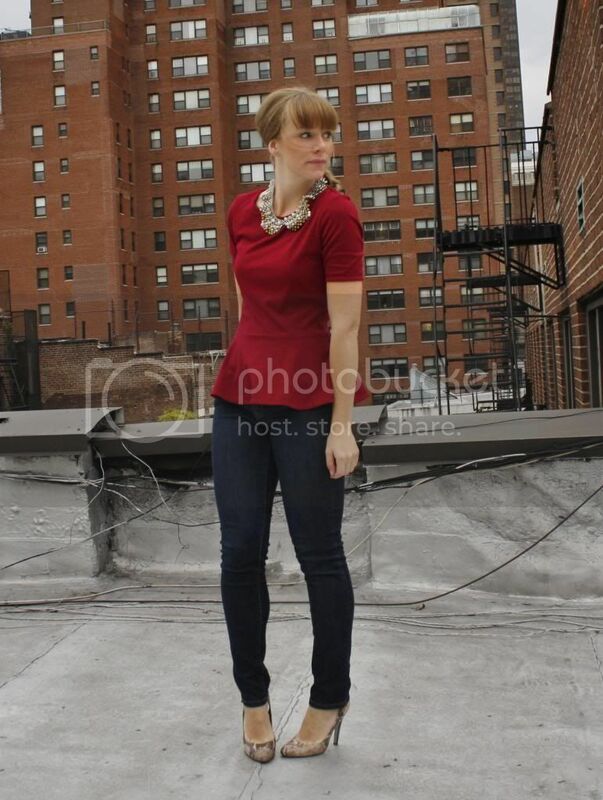 Love the peplum!! Beautiful necklace too! Sooooo cute! I have an Anthro gift card and was considering that very necklace - now that I see it on you I'm definitely thinking it's a good choice :) I'm all about simple outfits with special details and snazzy necklaces. What a cute necklace & top! I love it! Funny story too, glad you didn't get locked out~!